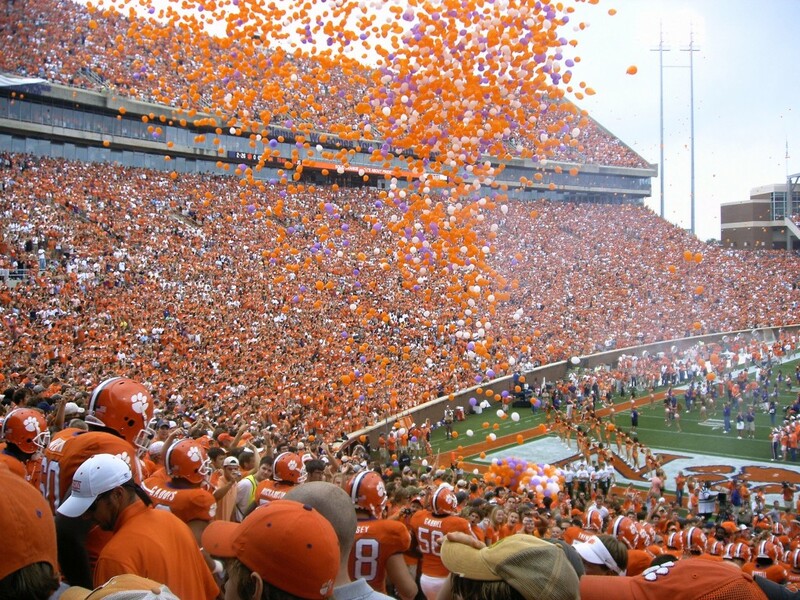 On Saturdays throughout the fall, millions of people take part in the excitement of college football. They pour into stadiums in the tens of thousands often with painted chests and elaborate costumes. And if they can’t make it to the game, they often gather together with alumni to cheer on their alma mater and share in the energy of the sport. College football is a big deal in America, and in terms of fan interest and revenue, it rivals all of the professional sports. Some people even choose where they will go to college based on how they feel about its football team. The football team is a symbol of the school as a whole, and when the team wins, the whole school has something to feel proud about. Read on to learn how football made its way into college athletics, and how some of today’s fans take showing their support to the next level. The first ever college football game took place in 1869 between Rutgers and Princeton. The rules they played by would eventually evolve into the game we know now, but that first game looked more like a soccer match than a gridiron competition. The game was inspired by rugby, but in its early form there were no standardized rules, and teams at different schools often played by wildly different interpretations. The game developed throughout the 19th century, becoming formalized and gaining popularity. The sport was notable for its violence. Over a 15 year period, as many as 330 college athletes died on the field while playing football. That led to rule changes and new safety measures, and the body tasked with overseeing this process eventually developed into the NCAA. The forward pass was added to the rules in 1910, and the game took on the form many of us recognize as football. It grew in popularity throughout the 20th century, even as the NFL began to offer a professional product. Today, college football is the most watched college sport, and there are six college stadiums in the United States that have a seating capacity over 100,000. College football teams often have a rabid fan base made up largely of 18-22 year olds. That leads to a lot of enthusiasm. Unique traditions have sprouted up around the country and are considered sacred by some die hard fans. These are a few of the most colorful. Arkansas Razorbacks fans raise their hands in the air and call out “woo, pig sooie” as a rallying cry. Florida Gators fans do the “gator chomp” to intimidate rival fans. The gesture looks like an alligator’s mouth snapping shut. When the Oklahoma Sooners score, two horses pull a covered wagon across the field. Before every home game, a member of the USC band runs to the middle of the field and stabs a sword through the middle of the USC logo. 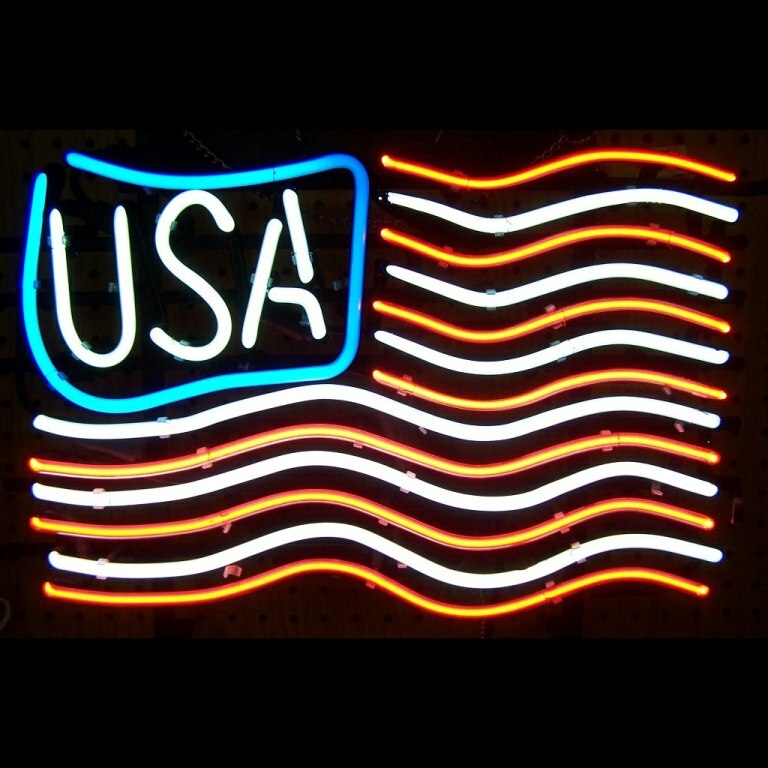 If you love college football and have a favorite team, one of the best ways to show your support is with a custom neon sign. You can have the teams colors, logo, and mascot glowing brightly before each game. You can even create a custom sign to root on your team in your own unique way. Before next season, make sure you are ready to be the biggest fan from your school. This entry was posted in Sports Memorabilia on November 21, 2013 by Eli Coniglio.